If you’re looking for cosmopolitan sparkle with quiet backstreets, this is the perfect choice. Connected by a gracious seafront promenade, with shimmering Mediterranean views, this collection of districts merge into one another, and are packed with shops, restaurants and bars. 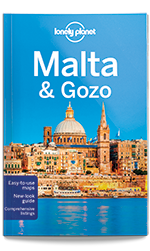 Coverage includes: Sliema & Around, St Julian’s and Paceville.